Extended wear contact lenses can be worn continuously over several days without needing replacement. 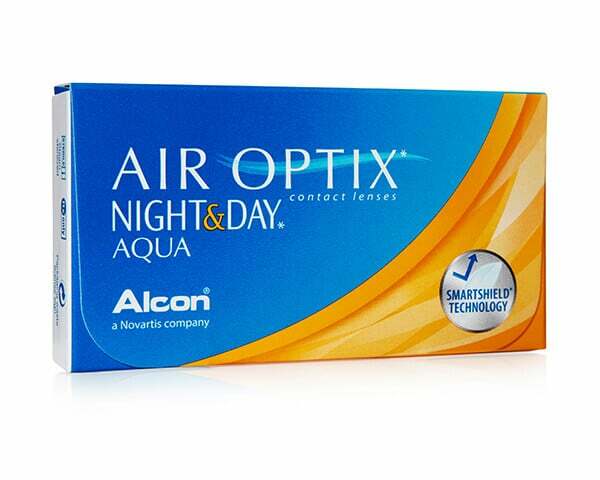 Many popular brands of contact lens can be approved for extended wear, including Biofinity and Air Optix Aqua Night & Day. Watch this video for advice and tips on buying and wearing extended wear contact lenses. Extended wear lenses are usually monthly lenses that are designed to be worn for between a week and a month without needing to be taken out. This means that you can fall asleep in them and wake up with clear vision. Sometimes an optician will recommend monthly lenses that aren't specifically designed for extended wear for this kind of wearing pattern. This will usually depend on how breathable the lenses are, as well as how well they retain moisture and if your eyes have plenty of natural tears to keep them hydrated and comfortable. Most extended wear contact lenses are made from silicone hydrogel for these reasons. Daily lenses aren't suitable for extended wear as they are designed to be disposed of each day and so won't comfortable or safe to wear for more than one day. 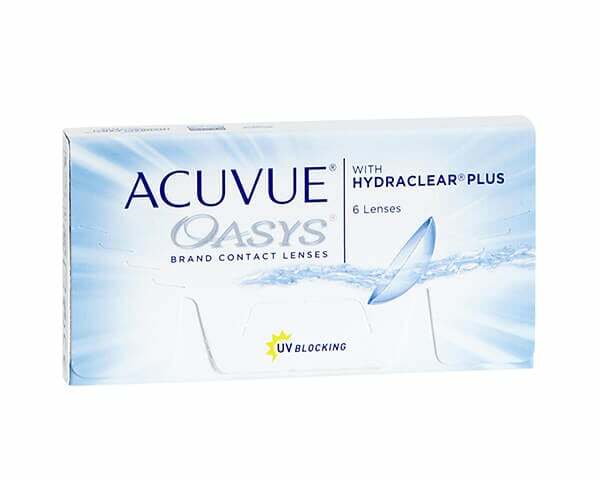 There are some 2-weekly lenses, such as Acuvue Oasys, which can be suggested as suitable for extended wear. What vision problems do extended wear contact lenses correct? Myopia: Also known as short-sightedness, this is a difficulty in focusing on objects in the distance. Hyperopia: Also known as long-sightedness, this is when you have trouble focusing on objects that are nearby. Astigmatism: This is when the shape of your eye is not perfectly round and leads to blurry vision, discomfort and headaches. Presbyopia: An age-related decrease in your eyes flexibility. This makes it harder to focus on close-up objects as you get older, deteriorating more each year. Why choose extended wear contact lenses? One of the most popular reasons to choose extended wear lenses is that you can wear them all day. If you work long-hours or in shifts then having comfortable contact lenses that offer high performance for the entire day will be of good use to you. Continuous wear contact lenses spare you from removing your lenses and having to wear glasses. Extended wear contacts can be worn for up to 30 days without needing cleaning, making them the lowest maintenance contact lenses available. This means no pre-bed routine of storing in solution, you can just get straight into bed and wake up the next day with perfect vision. This aspect is handy for new parents who might be getting up at all hours of the night! You shouldn't start wearing extended contact lenses unless you have approval from your optician. Unfortunately, not everyone has enough natural tears for this type of wearing pattern and some can find them uncomfortable to wear. Once you start this kind of wearing pattern, you should then stick to the amount of days recommended to you, which can be anything up to 30 consecutive days. Although you can sleep in extended wear lenses, you still need to avoid many the same things as with standard contact lenses. You shouldn't wear your extended wear contacts while swimming, and it's a good idea to remove them while you shower. 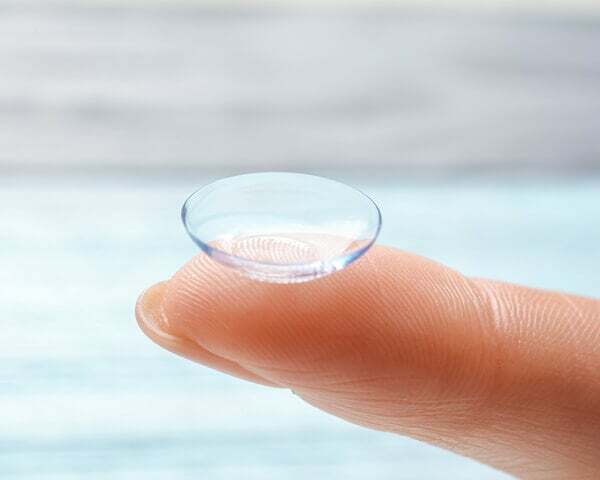 Direct exposure to water causes contact lenses to shrink in size and the usually harmless bacteria in water can react badly with your lenses, risking infection. If you're used to wearing extended wear contact lenses from Specsavers or Boots you can still find your usual lenses online. The only change is you'll need to pick an equivalent branded lens and we've compiled a table so you can see which is which. This wearing pattern is for 30 day contact lenses that you can wear for the duration of the month. Not only are they the most convenient type of extended wear lenses, they also offer the best value for money. Each pack usually contains 3 lenses, giving you 3 months of wear for an affordable price. Only people who have lots of natural tears can wear 30 day contact lenses comfortably, but they aren't the only people who can enjoy continuous wear contacts. 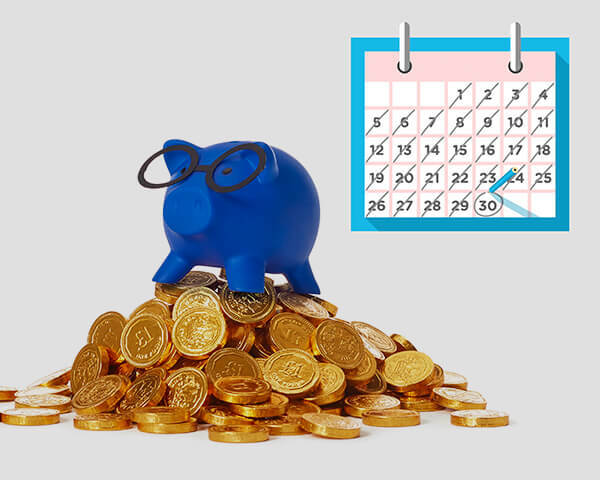 Some 2-weekly lenses, such as Acuvue Oasys, can be worn for 14 consecutive days meaning that you can enjoy all the convenience of extended wear but with a more regular replacement schedule. If you have the eye condition astigmatism, then you'll need toric contact lenses. As an eye with astigmatism is more elongated than a typical one, spherical contact lenses tend not to fit securely. 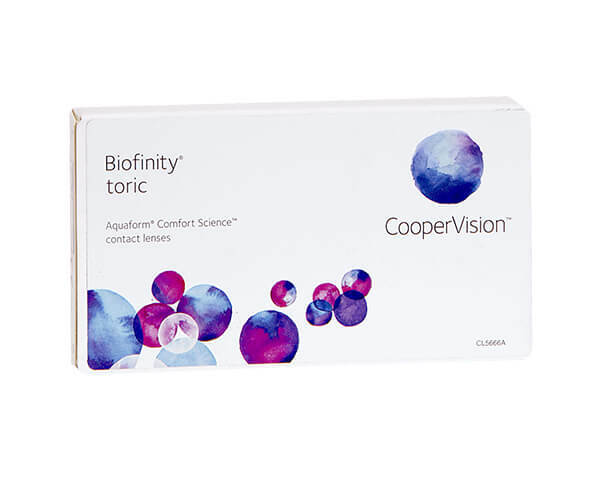 Toric lenses are designed to fit much better and offer clear, comfortable vision all day and some brands, such as Acuvue Oasys for Astigmatism and Biofinity Toric, are suitable for extended wear. When you have the age-related condition presbyopia, multifocal contact lenses are a great choice for convenient and clear vision. As your eye can struggle to focus on near objects as you get older, multifocal contact lenses enable you to focus on objects at near, far and intermediate distances with ease. The good news is that there are multifocal contact lenses that are suitable for extended wear, allowing you to enjoy perfect eyesight always. These 2-weekly lenses from Johnson & Johnson use Hydraclear® Plus technology to keep your eyes hydrated and comfortable for a fresh feeling throughout wear. They also prevent any protein build ups that can sometimes cause irritation, making them an excellent choice for extended wear. CooperVision's Biofinity monthly lenses can be worn continuously for 30 days and nights if approved by your optician. They use Aquaform™ technology so that plenty of oxygen can reach your eyes for a fresh and comfortable feeling throughout the month. These extended wear contact lenses for astigmatism provide a stable and secure fit to provide clear and consistent vision all day. CooperVision's Aquaform™ technology helps to retain moisture and improve breathability to make these lenses perfect for 30 days of continuous wear, if advised by your optician. 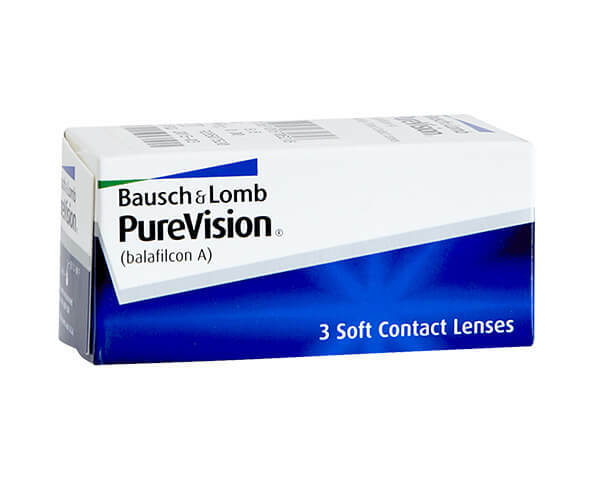 Bausch & Lomb's PureVision contact lenses are designed for monthly wear, but are comfortable and breathable enough that many opticians recommend them for extended wear. Their advanced AerGel technology ensures your comfort all month long and helps sensitive eyes to keep comfortable. These lenses are designed especially for continuous wear and so will stay super-comfortable for the entire month that you wear them. They utilise TriComfort™ technology to allow oxygen to flow through to the eyes, retain high levels of moisture and to resist any protein build ups for clear, irritation-free eyes.